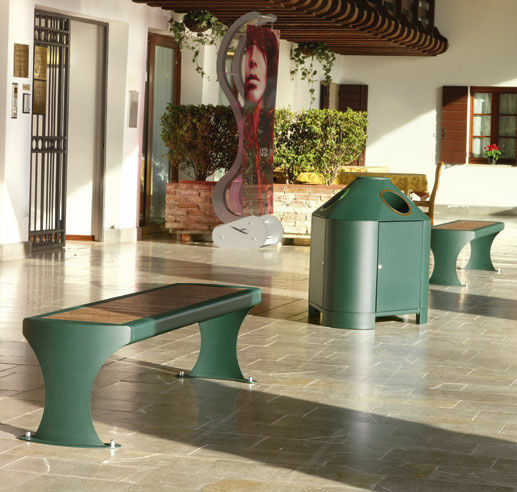 The plain bench of design LUXOR is formed of two refined sides in 5 mm stainless steel sheet on the outside and 2 mm on the inside with base plates for ground fixing. Horizontal profile seat front and back in 3 mm steel calendered sheet. 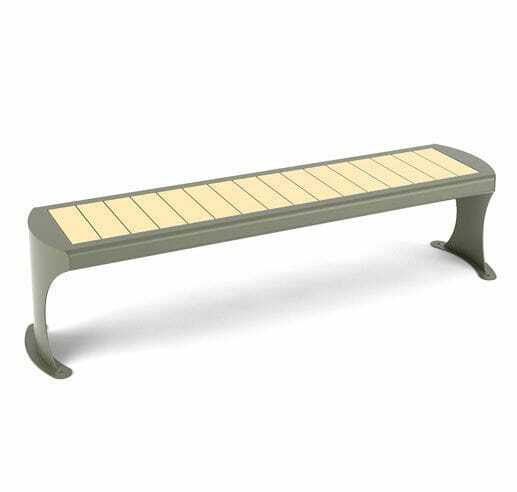 Refined front band fixed to the sides in 2 mm steel, with special strengthening bends for anchoring the slats upper frame who incorporate the slats 100x30mm placed orthogonal respect the length of the bench. All fixings are in stainless steel.